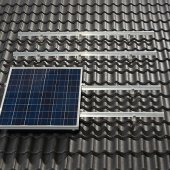 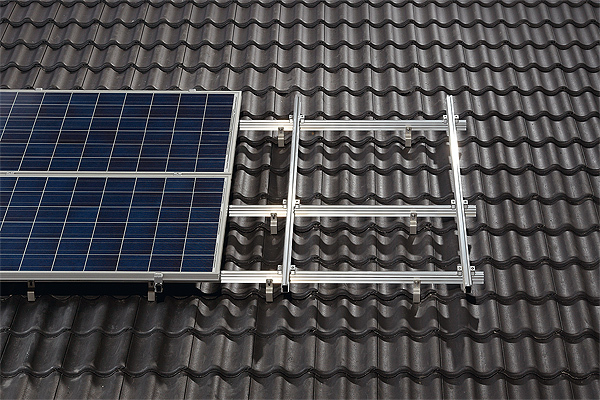 The VarioSole is suited for all roofing types, all current PV modules and, thanks to height-adjustable mounting elements, even for roof areas that are not level. 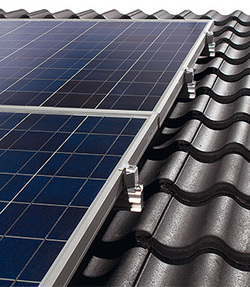 The installation of the few, partially already pre-assembled components is easy and fast. 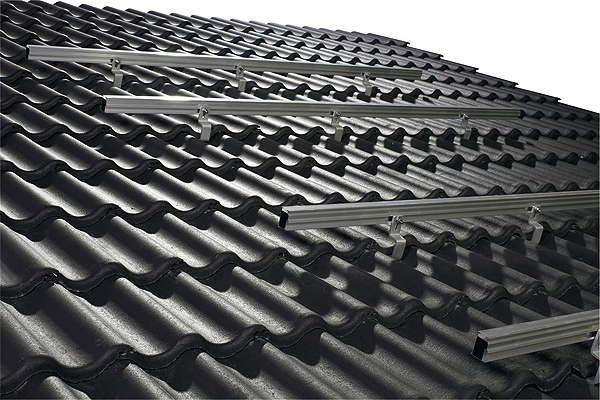 VarioSole is a rail system that is mounted on the rafters with special roof hooks. 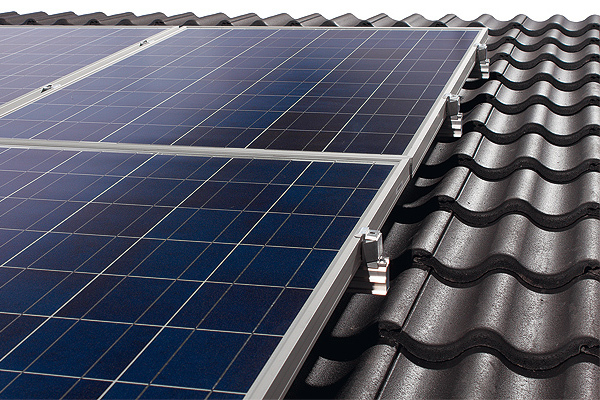 All that is usually necessary for the installation is to remove or slide up single tiles. 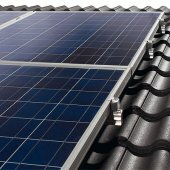 Removing the entire roof covering is therefore not required. 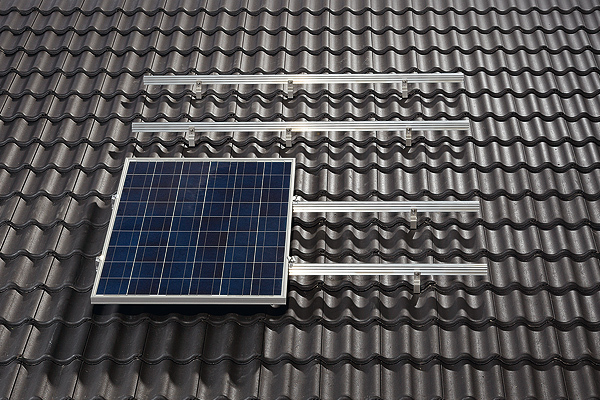 The roof hooks are made of extremely resilient, yet at the same time light aluminium diecast. 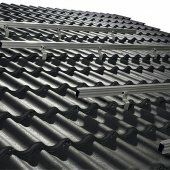 Due to their design, the roof hooks are especially rigid and stable. 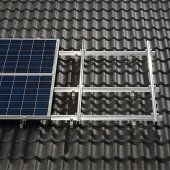 The rails that then fasten the modules in place with module clamps are mounted on these hooks.